Transition and change is something that most of us have to face in our lives. Some women choose transition and others have transition thrust upon them. It can be a challenging as well as an exciting time. With this in mind, Maureen Steele (active OWIT member) leads occasional OWIT Get-Togethers (OGT’s) around this topic. This third “Women In Transition” OGT will build on previous sessions but function equally well as a stand alone. With the belief that OWIT has extensive untapped resources in the members, Maureen will collaborate with a few willing volunteers who will share their own personal stories. Navigating the transition to a new career, setting up your own business, or moving to a new location are change challenges that have the potential to become chaotic and stressful. Are you focusing on the right things and being pro-active enough to make sure that the transition goes as smoothly as possible? In this interactive workshop, you will explore the implications of transition as a process of moving from one “normal” to the next and consider the many new realities that you will have to conquer in order to arrive successfully at the “new normal”. You will also find out how managing yourself and your priorities is critical to making sure that your plans come to fruition. · Understanding how you feel as change proceeds so that you can accept it and support the new realities. · Taking the initiative and developing strategies for making the most effective use of your time, especially during a period of transition. · Storytime: to inspire and motivate you, we will draw on the experiences of some of our OWIT members who will share with you their own personal stories. 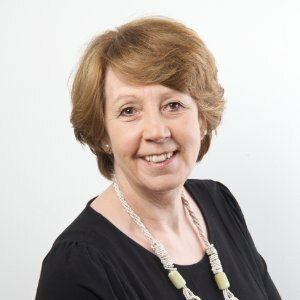 This topic may be of interest for: those thinking about career redirection, further education, those exploring how to make a different contribution to society or the business world, those who wish to work on a freelance basis or set up their own business, or those who simply wish to navigate change more effectively. Maureen is a coach and trainer, entrepreneur, author and founder / managing director of The Training Box. She has lived in five different countries and worked in more than twenty. Maureen has broad and multicultural business experience, originally in retailing, marketing and consultancy. In her corporate coaching and training work, she has focused on all of the aspects essential for successful and effective communication in the workplace. With her private clients – many of whom are experiencing relocation, change and transition - her aim is to enable them to tap into their hidden resources, unlock their potential and reach for long-term goals and short-term opportunities.